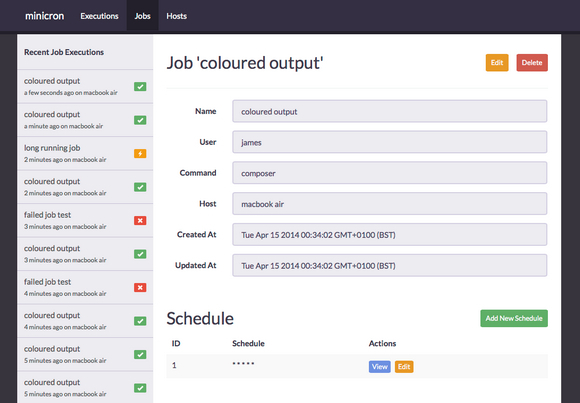 Minicron aims to complement cron by making it easier to manage and monitor cron jobs, it can largely be thought of as two components that interact together, the CLI and the Hub. The CLI is what is installed on your server(s) and executes your cron command and reports the status back to the Hub. The Hub is the central point where data from one or many instances of the CLI is received and stored in a database. The Hub also provides a web interface to the data and makes it easy to manage your cron jobs.